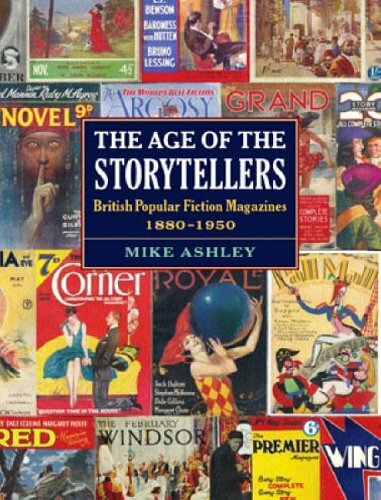 The years from 1880-1950 were the golden age of storytelling, seeing the creation of such famous fictional characters as Sherlock Holmes, Fu Manchu, Father Brown, Hercule Poirot, even Winnie, the Pooh. This was the age of Robert Louis Stevenson, Arthur Conan Doyle, John Buchan, A.E.W. Mason, Sapper, Rudyard Kipling, H.G. Wells, Arnold Bennett and so many more. It was an age that coincided with the glory of the popular monthly illustrated magazine, typified by "The Strand", which set the standard for popular fiction with the "Sherlock Holmes" stories by Arthur Conan Doyle. "The Strand" soon encouraged rivals and imitators such as "Pearson's Magazine", "The Windsor", "The Royal", "Pall Mall", "The Idler" and many more. This is the first reference guide to consider these magazines in detail, providing coverage of 144 titles, seventy in full-length entries, charting their contribution to and influence upon popular literature. There are illustrations reproducing covers and features from every magazine with seventy-two colour portraits, including many magazines that are now extremely rare. In addition to much new information, this book also considers the collecting significance of these titles and will be of importance to collectors and bookdealers, as well as literary researchers and bibliophiles. Mike Ashley has spent over forty years researching popular literature in all its forms. He has published over seventy books including the biography of Algernon Blackwood, Starlight Man, studies of the development of the science-fiction magazine, The Time Machines and Transformations, and the award-winning Mammoth Encyclopedia of Modern Crime Fiction.